The main bone of contention was how to properly interpret the question. The way Foshee meant it is, of all the families with one boy and exactly one other child, what proportion of those families have two boys? I owned four vinyl copies of Cold Fact, Rodríguez’s first album, replacing each one as it became worn out from almost constant play. The CD version now has pride of place in my collection. We watched the documentary about Rodríguez last night, Searching for Sugar Man. The film explored the possible reasons why Rodríguez was so popular in South Africa, but bombed in his own country—the U.S.A.—and almost everywhere else. 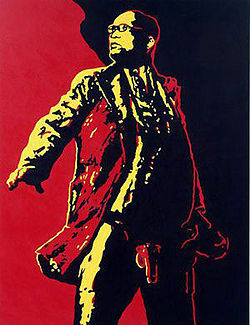 In South Africa he was more popular than Elvis Presley (who he?) and the Doors, but in the U.S.A. no one had heard of him. Perhaps, as the film suggests, his subversive lyrics found resonance amongst a repressed population in a police state (this doesn’t explain why he was also successful in Australia); or perhaps his music just ‘went viral’ here—at first it was only available on bootleg casettes before being picked up and marketed by A&M records. A point only tangentially covered in the film was the issue of royalties. Mr Rodríguez was not aware that his album had gone platinum in South Africa and Australia. He was working in Detroit as a casual labourer on construction sites when he was ‘discovered’ in 1997 by South African journalist Craig Bartholomew Strydom and fan Steven “Sugar” Segerman. It had been thought that he had committed suicide years before. The question is: who trousered his money? Why did he not receive a penny of the royalties that were due to him? He has been described by film critic Roger Ebert as a “secular saint”, a man who doesn’t seem to care about money at all, but that does not absolve the record company executives who cynically robbed him. Even though he won’t initiate it himself, I hope some law enforcement agency takes the trouble to investigate this crime, and make an example of the perpetrators. Update: Record sales have taken off following the Oscar win. It seems Mr Rodriguez is going to pursue his royalties.